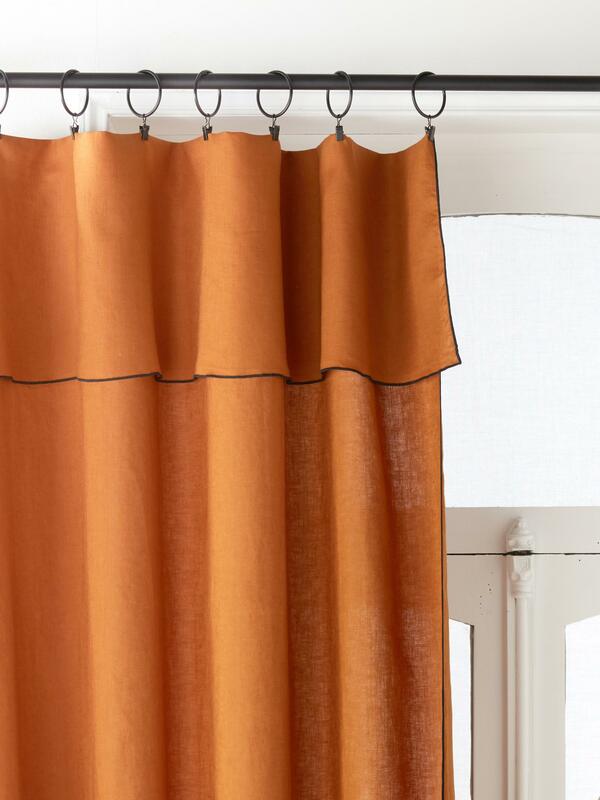 A simple linen panel that acts as a curtain: a clever, modern idea. Bumblebee print finish on the sides and top of the panel. 135 cm wide. 300 cm high. Machine-washable at 40°C. Sold individually.